I'm still making Christmas cards and pulled out the Dashing Deer stamp set. This was one of the first sets I bought back in August and have barely used. 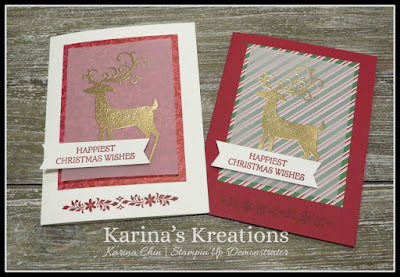 I forgot how easy it is to create beautiful cards with this set. 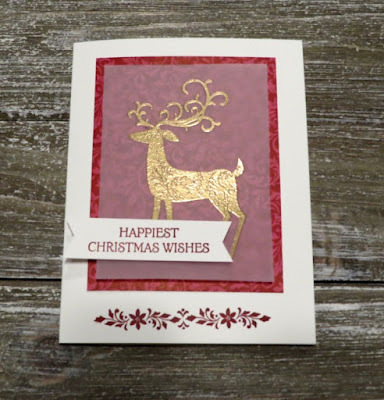 I stamped the deer with Versamark ink on Vellum Cardstock and embossed the image with Gold Embossing powder and the Heat Tool. 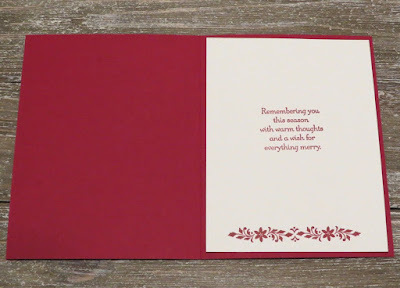 I went over the vellum card stock first with the Embossing buddy which is an anti-static tool. If you don't own one, ask Santa for it. 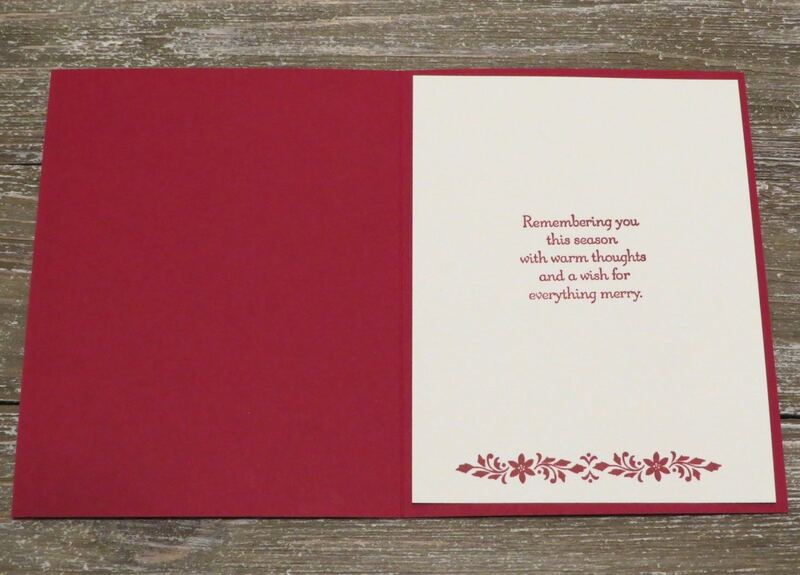 This set also has 2 greetings and 2 inside sentiments. If you own a Big Shot, this has has coordinating thinlits dies.